London, 1971. A London Cabbie stumbles upon the existence of a secret society within the ranks of the Black Cabs. The Knowledge could cost him his life. TONY PINNER comes from a tradition of Black Cab drivers. His life has stalled. 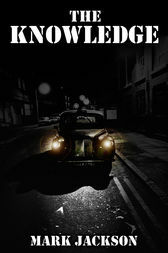 When one of his regular fares is kidnapped and, later, fished out of the Thames, Pinner searches to find the killers. His search brings him to the attention of an ancient order, who are determined to stop him. Pinner knows London like the back of his hand. If he is to discover who his enemies really are, Pinner will need all his knowledge. It might just keep him alive long enough to find out.